We come back to the Island of Ireland visiting on our bikes the key sites where spaniards got captured and sometimes slaughter during the ill fated Spanish Armada enterprise of 1588. 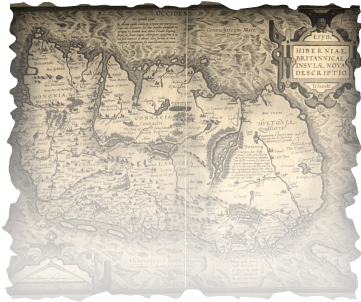 The trip following the footprints of the Great Armada sent from Spain in 1588. In that, we must cover some 400 miles in 7 days from the resting place of the Girona to the impressive backdrop to the San Esteban's sinking. Atravesamos Irlanda en nuestras bicicletas visitando lugares emblemáticos del desastre de la Armada Invencible que en 1588 trató de conquistar los territorios del Reino Unido. Barcos de la La Armada naufragaron en casi todas las bahías del Oeste y Norte de Irlanda, pero nuestros puntos claves son aquellos donde grupos de Galeones y Galeasas/Galeras se hundieron ante el trueno de los mares del norte. Debemos recorrer casi 700 km en 7 días: desde el Cabo Norte de MALIN, en el condado de Donegal, al cabo sur en MIZEN, en el condado de Cork. 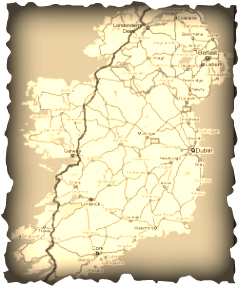 The adventure is set to cover western Ireland starting from the northern most point of the island, Malin Head, and arriving 7 days later to Mizen Head, the southernmost point of Ireland. Our itinerary is well planned. Every day ends up each day on a confy bed and a bowl of pasta ! There is a Calendar set up for the adventure. Visit the page in this site. After the victorious enterprise against the Turks in Lepanto in 1571, Phillip II prepared the ultimate attack on the archrival of the north: England.